Instagram UI getting facelift on Android? 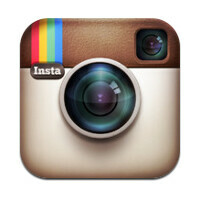 You can check out some screenshots of the new Instagram UI by clicking on the slideshow below. I don't know...i've always associated Instagram with the color blue. yeah, looks so lifeless to me. at least let the icons have colors. Yes, the instagram app got updated in my Note 4 with new looks yesterday. I hate apple-ish design on android. Had it on my S7 since yesterday, but the same account on the Moto X 14 doesn't have. Trying to take on VSCO. its a faceDrope not facelift the ugliest facelift i ever seen. why they love white UI ? Will look awesome on feeds which focuses on B&W photography. I like it.